Hey, I haven't shamelessly asked for anyone to follow our blog in a while. Have you notice that I haven't been pestering you to follow our blog in a while. It must be a sign of maturity that I've stopped posting so much about following our blog lately. The fact that I haven't been asking so much to follow our blog, that is. Tonight started off with a great salad to use up leftovers. 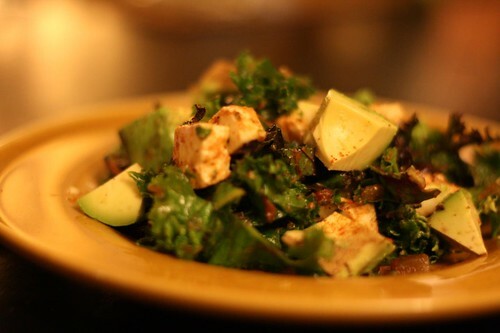 I combined some kale with lime juice, salsa, black beans, lime juice, olive oil, smoked paprika and mozzarella cheese. The fresh mozzarella was an odd addition but it worked very well with the salad. It also used up a bunch of mozzarella which was approaching the dreaded sell by date. For the main course I made what I'm calling Mexican Shepherd's Pie. It's made with ground beef. 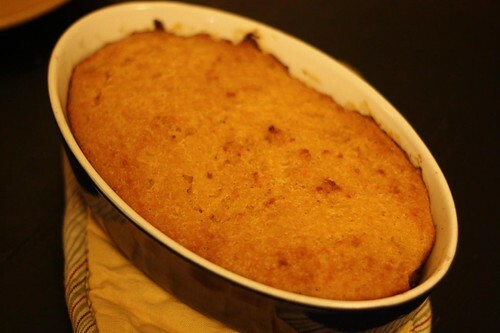 Every Shepherd's pie I ate until about 2004 was made with ground beef. It was at that time I had my first shepherd's pie with lamb. It was then, and only then, that I realized that actual shepherds would probably be a lot more likely to use sheep than cattle to make their pies. This version recalls my roots by using the leftover ground beef mixture from last week's burritos as a base. 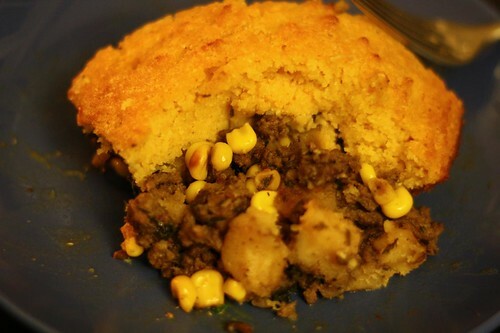 The top was a crust I made out of cornbread then baked the whole thing together in the oven. For beer I had this beer from McSorley's in New York City. 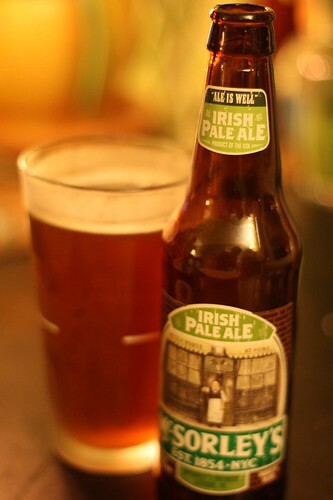 I hesitated to purchase (and drink) this beer because I've been to McSorley's and I found the experience to not be a favorable one. I understand what they're trying to do at McSorley's. I understand their whole gimmick of serving loathsome food and giving intentionally bad and impolite service. I get it. Really I do. I just don't want to ever be subjected to it again. Some people get really excited at the novelty of such things. I am not one of those people. I think it speaks to the quality of the establishment that they did not allow women to enter until 1970 and only after being issued a court order. Even then the did not install womens' restrooms until sixteen years later in 1986. I'm not sure if this was a step forward or a step backward in the movement for equal rights for women. It takes a different kind of establishment to make those business decisions. It takes an all together different kind of establishment to boast these facts on the label of their beer bottle. 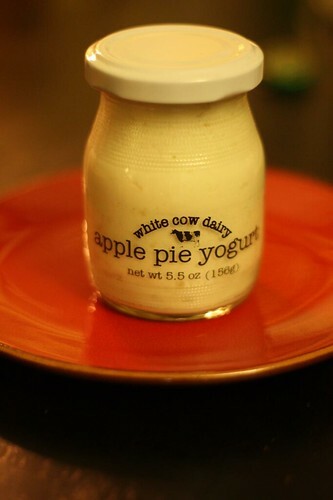 For dessert we had this apple pie yogurt from White Cow Dairy that Jen brought home from Grand Central. Somehow this whole dinner was lacking any sort of theme or tie-in. However, I would like to express my support for small dairy farms in New York State and for women everywhere. And for Mexican shepherds. Keep living the dream guys. Why is not Shepherd's pie made from shepherds? And if it is sheep that they are watching why is it not sheepherds?